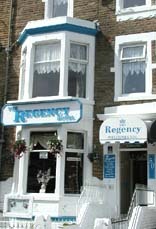 The Regency Hotel is an award winning family owned hotel ran by Andy and his wife, situated in the heart of Blackpool, close to the Tower, Winter Gardens, Promenade, shopping centre and the countless attractions. We cater for the livelier holiday-maker or weekender and our aim is to make sure you have a fabulous time in Blackpool. At the Regency we offer you warm hospitality and excellent value for money in our clean, comfortable, licensed hotel. Then you’ve got the nightlife for a great end to the day. After a great night out in Blackpools pubs & clubs have a night cap at the Hotels well stocked lounge bar. And in the morning to start your day enjoy a traditional English breakfast. A continental or lighter breakfast can be arranged. Place Categories: Tower and Tower Families.